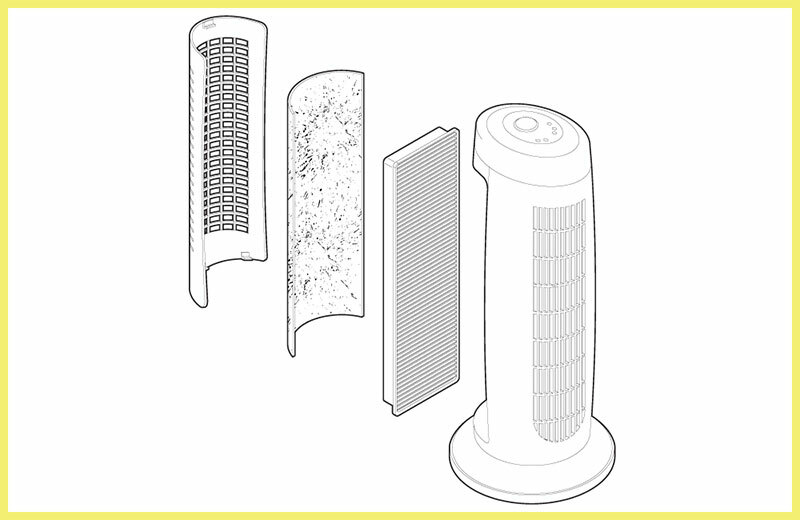 An air purifier fan exploded view for a user’s instruction manual from the manufacturer. 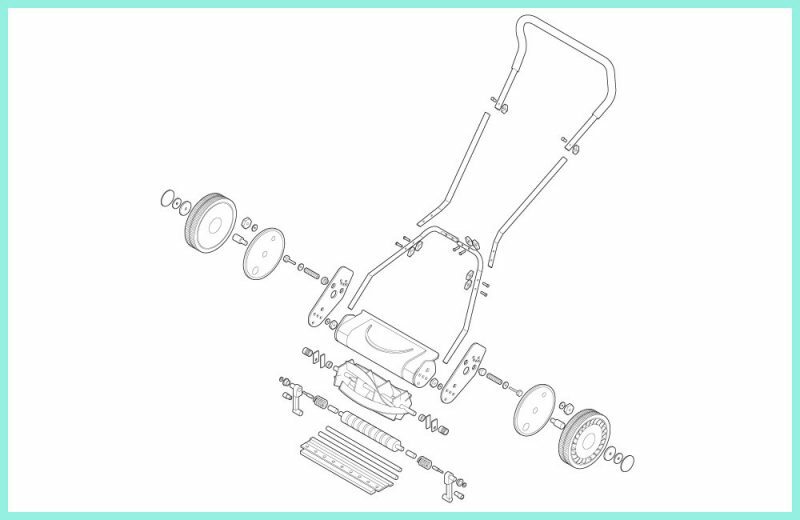 A lawn mower parts illustration in exploded view for an installation user manual. 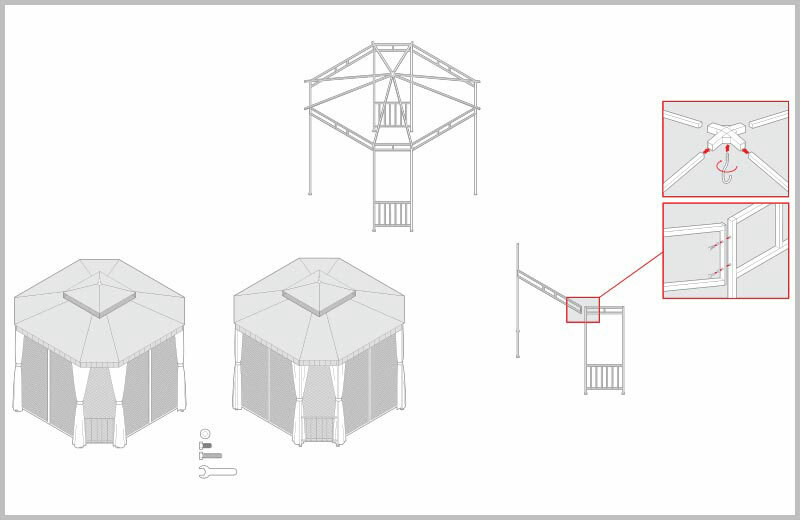 Installation manual of a gazebo framing and attaching material panels. Client: Polan + Waski for Canadian Tire: Installation manual parts list graphics and exploded views for various products.